Michelin Sirac is a great allround tire for medium size adventure bikes. On pavement, gravel, dirt or offroad, it is a good choice. Here is my review. 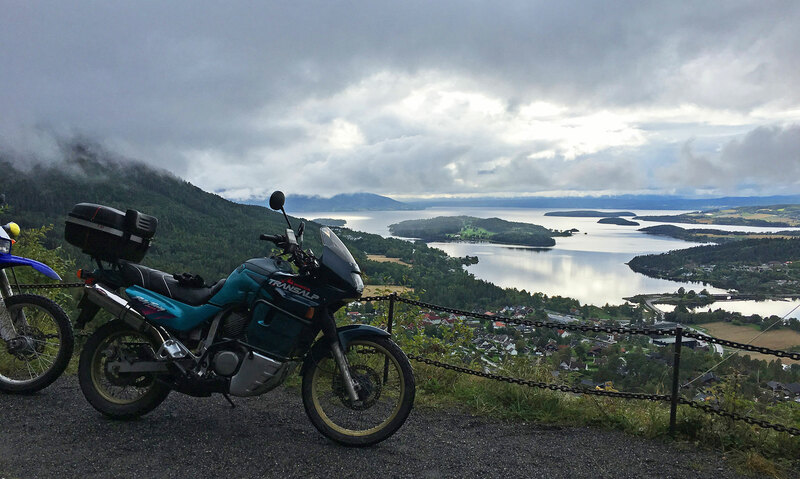 Fall 2017 I bought my second motorcycle, a 1994 Honda XL600v Transalp. Decided that I needed something lighter, something for commuting and shorter expeditions. From before I’ve had good experiences with the Honda parallel twin engine. I also knew that the first Transalp had great reputation. The “Alp” had Michelin Sirac mounted. They were in good shape, with plenty of miles left. I have a BMW R1200GS Adventure, at the time fitted with Pirelli Scorpion Trail 2. So it was interesting to get new experiences in the dual sport tire segment. It did not take long before I experienced the first moments of appreciation. On pavement you’d think, by make and thread pattern, they would generate a lot of noise. Especially the front tire but no, it doesn’t. In fact, I found the front tire almost miraculously quiet. On the way home after purchase I rode into, and through torrential rain. Roads turned to rivers, so it became a real acid test on wet road handling. Despite horrible conditions the tires felt surprisingly grippy! Just out of the woods after a bit of offroad riding. 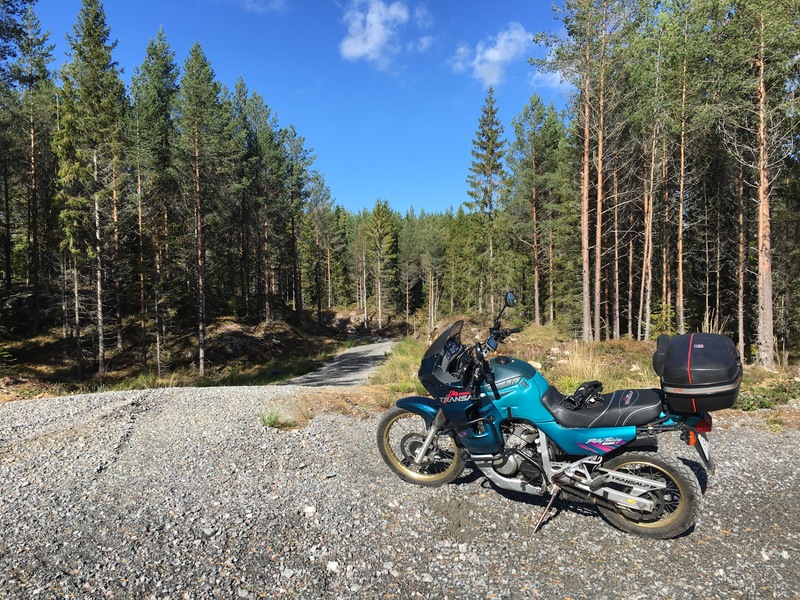 I like to ride offroad and on gravel, which is why I have two adventure oriented motorcycles. Spring 2018 the tires on the Transalp was almost done. 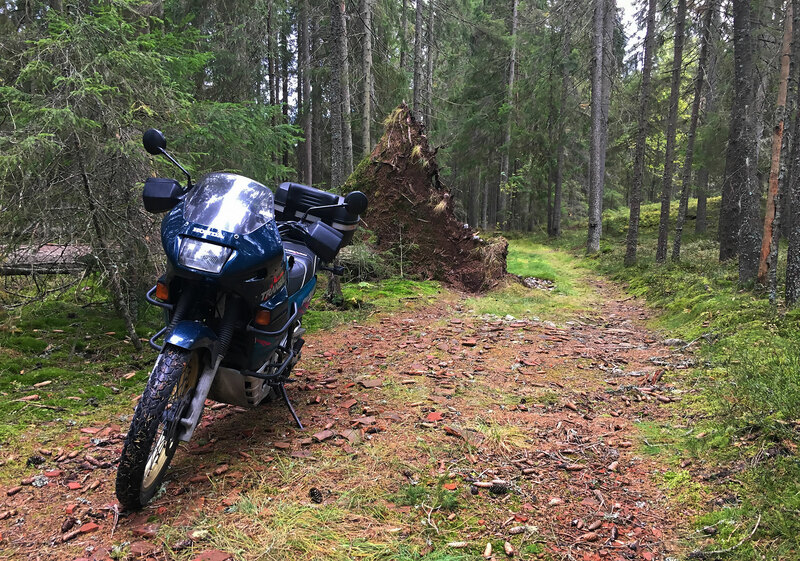 During summer I mostly rode on my beemer, but because of an incident in Germany the Transalp was my adventure getaway motorcycle during fall 2018. From August till end of season I rode on the new set of Michelin Sirac tires. If the old set had impressed me, the new set impressed me more! I could simply not get over how well they performed, regardless of surface type. 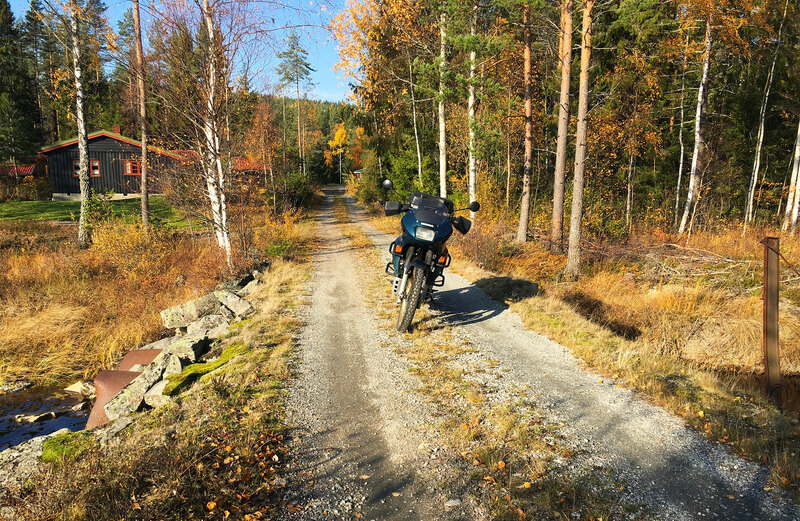 In Sweden and Norway there are thousands of miles of gravel roads. Countless variations exists, with ditto countless types of gravel. Some of the places I go with the “Alp” I would not go with the big and heavy R1200GS Adventure. Regardless of type of “shoes” fitted. My beemer had Metzeler Karoo Street on during the 2018 season. You can read about the experience here. Comparing Sirac and Karoo Street isn’t easy, because I’ve not tested either on the same bike. You cannot buy Sirac for the 17″, rear 19″ front GS because they don’t produce them in those dimensions. For all I know, the compound and composition would not work on heavy adventure motorcycles. Guess that will or may remain an unanswered question. Michelin Sirac tires are a pure joy to ride with. It’s been around 10.000 kilometers or 6.213 miles this far. The grip is phenomenal, in curves you sit firmly planted almost regardless of surface. In deep mud or wet dirt they can of course not compare with a knobby 50/50 tire. But in all other respects, plus wear, they are for me the ultimate choice. Tyre wear: good enough for my money! Any negatives? Not really no! Ordering: I cannot speak for all countries but in Norway it took an absolute age to get them. My motorcycle workshop and dealer is one of the largest in the country. But that did not help much. My best advice would be, check where to buy. if you order through a dealer, order in good time! When current set is done for I might for for something else OR, order a third set. We shall see. Karoo Street on a 2016 Honda CRF1000L (AfricaTwin). Found this post useful? Feel free to leave comments! This entry was posted in MC related, miscellaneous and tagged Adventure, MC related, MC riding, Tires. Bookmark the permalink.